If you would like to know what your orthopedic colleagues are talking about in case of a high energetic trauma patient who has several fractures, this app may be useful for you. 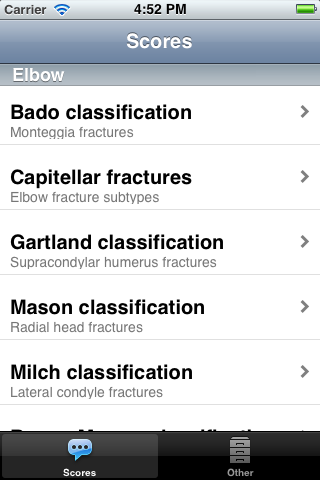 OrthoMind contains 100 orthopedic scores and classification systems, and is based on the "Top App" NeuroMind. OrthoMind is available for the iPhone and iPad, and for Android. More information and screenshots are available here.